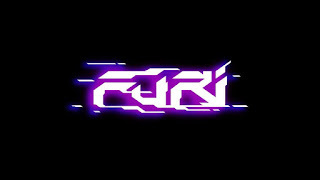 About a month ago, I received a review code for Furi on Nintendo Switch, and I had promised a review for the game. However, at this time, I am unable to do so. After multiple play sessions and many attempts to play a significant amount of the game to warrant a proper review, I have failed to make it past the first boss fight, which serves as a tutorial to the game's mechanics. I began the game on normal difficulty, and after many short lived attempts, I progressively got a little further and further in to learning all of the intricacies of the combat system and attacks available to me. But, I always failed. After a solid 2 hours of this, I gave up on normal and switched to promenade (easy) mode, and played for yet another 2-3 hours in an attempt to clear this first boss. I couldn't do it. I'm the first to admit that I'm not the best video game player, and I have played more than my fair share of difficult games. However, they have mostly had a fair amount of difficulty that relied on merely learning the patterns of the enemies, placement of platforms, and development of skills available to overcome these challenges. Never before, however, have I faced a game with such a brutal learning curve so early on. Not even the Ninja Gaiden reboot for the original Xbox gave me this much trouble. That game was also designed to capitalize on incremental advancement that taught you how to better overcome your foes, but it also offered more learning opportunities before chucking you at the first seemingly impossible boss fight. 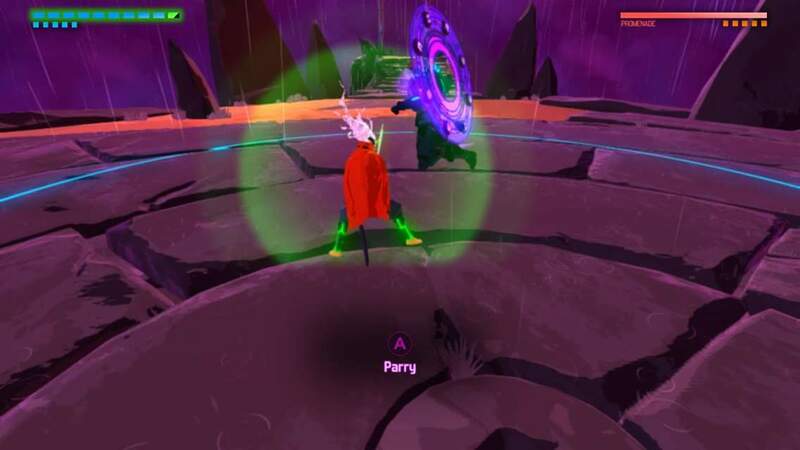 While Furi has engaging combat and tight controls, I never felt like I was accomplishing anything or learning, just getting luckier each time. However, I'm not just here to admit my inability to overcome the difficulty that many gamers thrive on, or to whine about the game being unfair. In fact, I don't think that it is. I just have to admit that this game isn't intended for me, nor other gamers that don't appreciate that level of difficulty. 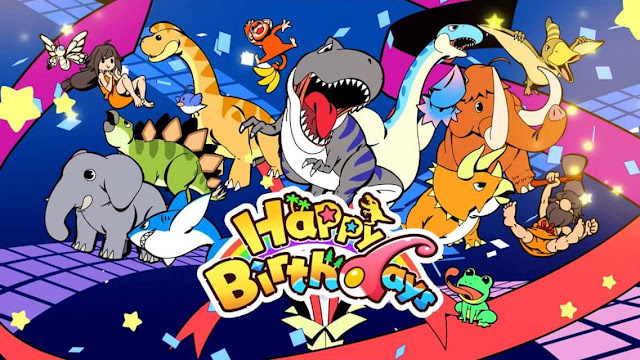 I'm also here to talk about all of the aspects of the game that have the potential to make this a great game, if you're willing to put in the time and have the patience to overcome. Furi begins with a short story introduction in which you are a prisoner, held captive by a sadistic jailer that verbally and physically assaults you. You are then presented with the opportunity to escape, and must first get through the jailer before you can progress. The story is bare bones, but the jailer is delightfully wicked. He is reprehensible from the start, and his voice acting is very well done. His dialog is simple and ridden with cliches, but it works oh so well for such a two dimensional character. In this fight, you are slowly introduced to your different attacks, as well as your dodge and party abilities. 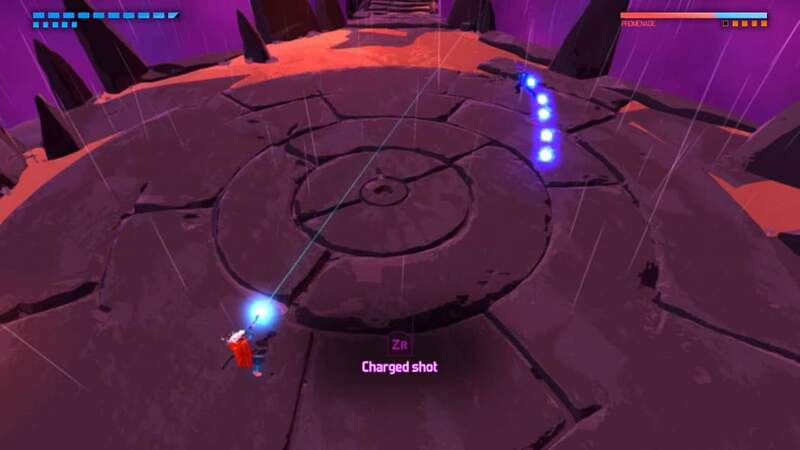 Furi is primarily a twin stick shooter, but when the opportunity present itself, turns into a hack 'n slash. The buttons are responsive, and the moveset is enjoyable, albeit a little limited. If you land successive melee blows, you will be given a short combo cutscene that removes control from you, which is a bit jarring in a game so focused on intense, reflexive combat. The only real issue here is that it often feels more like you're performing quick time events that correspond to the specific action that you're supposed to be taking at the moment (you are supposed to shoot, then you do melee attacks, then you have parry, then cycle back through in various orders, until you get to dodging area attacks). If you try to use a different action than what you are prompted to, it will result in ineffective attacks, and you are usually punished with damage and a demeaning comment from the jailer. These comments are meant to enrage and motivate you, and they do a great job at that. Is that sometimes this intensity can be distracting. Your parties and dodges must be almost perfectly timed to avoid attacks and devastating damage, but there is am intentionally slight delay in your character's response to your button presses that makes it very hard to gauge exactly when you need to time your button presses. Obviously the devs intended for this to be a test of your skill, and your ability to improve these skills and recognize the prompts given by the boss will be key to your success. But, and it's a big but, the fact that the opening boss battle is so tough, you are barely given enough opportunities to master these skills. 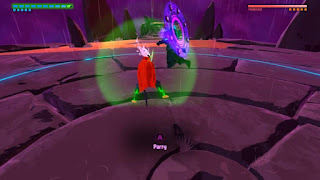 While the game is intended to be a relentless boss rush mode, it would have been served nicely by having the opening boss be replaced with a series of smaller fights with minions to help you hone these skills before coming to the boss, and then throwing the rest of the bosses at you afterwards. All in all, Furi just got frustrating to the point where I just needed to cool down and play other games before diving back in. It ultimately got to the point where it wasn't even satisfying to try anymore. To get to my ultimate point, here, I'll summarize it this way. 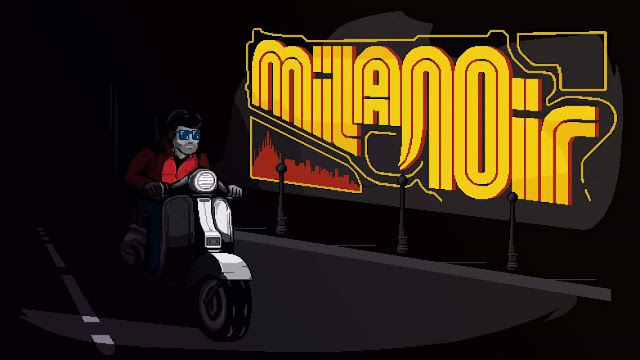 Many reviewers will avoid covering a game from a genre that they don't particularly enjoy. They do this because it's hard to remain objective about a game where you go in having biases against it based on that alone. They also do this because someone that does enjoy that style of game can better explore the finer details that will help separate one game from another, and be able to communicate why a certain game is better or worse in regards to other similar games. However, I've tried to step out of my comfort zone a few times to learn how to overcome those obstacles, and I believe that my own ambitions got the better of me this time. 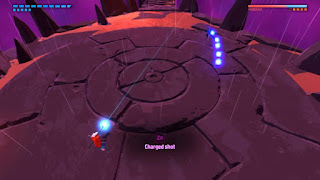 I couldn't clear those hurdles standing in my way, but I would like to think that some time in the future I can revisit Furi with a clear head, and approach it from a different angle. This will hopefully assist me in dedicating more of my mental focus on it, so that I'm not just trying to power my way through and move on to the next game to meet a self- imposed deadline. That being said, Furi has a lot of potential to be a better than average game for those that it is aimed at, but my current schedule doesn't allow me to sit down and fully master the nuances of Furi's mechanics so that I can "git gud". I'll report back later when I find that time.